There are several marketing trends that come and go but the video marketing trend is here to stay. The success of video on all the marketing platforms shows that it is not a temporary or a passing short-lived trend. Video plays a great role in nurturing and growing any business and people are realizing the importance of video marketing. While appropriate and effective for the customers, video marketing offers the marketers with a striking, adaptable, and exceptionally shareable platform to reach their viewers and followers and make a lot of money. 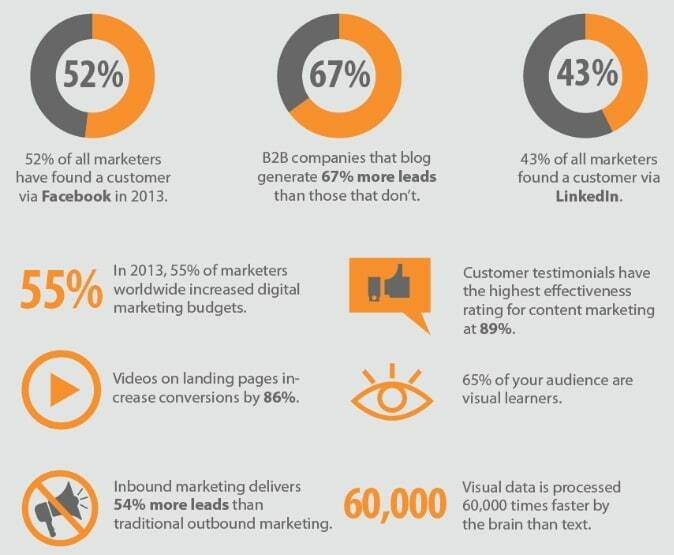 However, there are still many marketers who are not aware of the importance of video marketing. 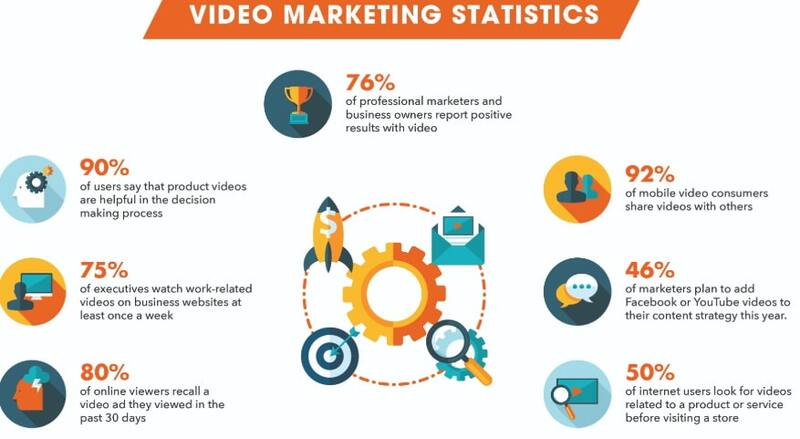 Let’s look at the video marketing statistics to give you a second thought. According to the 2019 video marketing statistics, the use of videos on the landing pages has increased by 11% within a span of one year. Last year the graph showed 49% and this year the video marketing statistics show that 60% of people have started using videos on their landing pages. Why you should opt for video marketing is because the conversion is believed to increase by 80% in the coming months. The ease of use in video marketing is another point that is making it an instant hit amongst the users. Not only in the landing pages, but people are also using videos in the email as well. The statistics show a jump of 36% to 46% in the use of videos in the email by the businesses. The various built-in tools make it easy for businesses to incorporate videos into their email marketing strategies. It helps the businesses to analyse how well a product is doing by testing the engagement and click rates on email. The businesses use videos to build the trust amongst the users and the video marketing statistics reveal a great increase in sales conversion from videos. 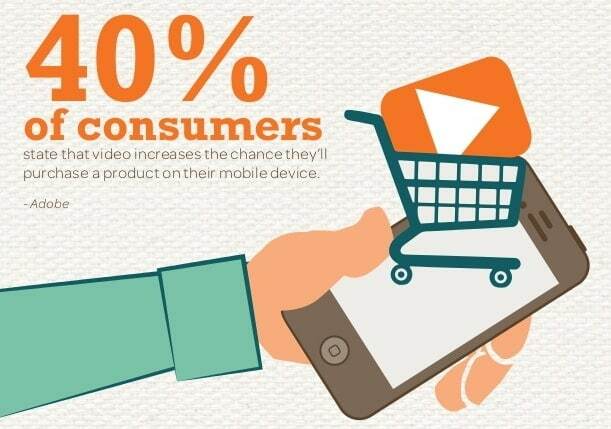 There’s a leap of 12% in sales conversion just with the use of videos. The major videos that are usually used are a demo, explainer, webinars, educational, live-streaming, and product videos, shared on the social media handles or websites. The trend shows that 86% of users use the videos on their websites and 77% on their social media handles. Although, these are the two main areas where the video content rules, you also need to differentiate your business and remain unique by creating your presence felt on other platforms too. According to the video marketing statistics, 59% of the businesses use demo videos, 13% video blogs or vlogs, 7% chalk-whiteboards, and 12% one to one videos where you can directly address one particular person. Trying these different platforms and making your presence felt can make a big difference to your business. The inclusion of video in the sales process can be highly beneficial for the companies. It is important to share the message with your team and make use of the video strategies. Over 61% of the sales team have already been using the video marketing strategies and 2/3rd of the people pointed out that the sales team must have access to their clients and potential data of video viewers. It is a common thing that when people like videos on various sites, they expect to see the same on every site. The use of videos helps the people to spend more time on your site and the engagement is more. According to the Cisco reports, more than 80% of all Internet traffic will be video by 2021. Not only YouTube, the fresh video content is being produced each day and also published for the users to interact in various platforms. People have got access to a broader range of brands and you need to be unique to be one of them. 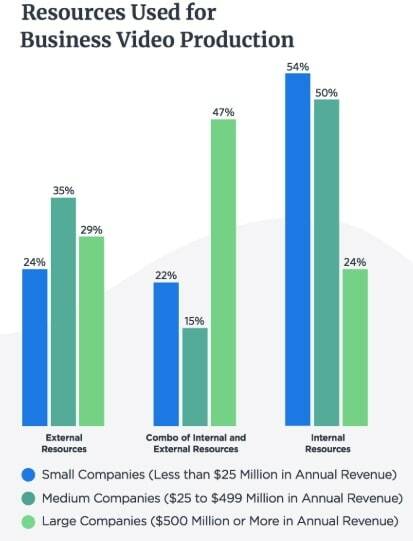 Whether you are a small or a big company, doesn’t really matter. What matters is the volume or the number of videos produced and the size of the company doesn’t affect the number of published videos. You need not have a big budget to create videos. Even the small companies are giving a tough fight to the large organizations because the start-ups are nurturing their creativity to create bulk video content, unlike the large companies who must rework on their strategies for videos and also have better resources for video content creation. Only 24% of the small businesses seek help from external resources like agencies, freelancers, or contractual employees for video marketing. The small businesses can match up with the biggies because only a small per cent use the external resources for video marketing or a massive budget. The professional and hi-tech service providers are mostly using the video marketing procedure. If you are in the same niche, it is a high time to start creating unique video content and stand out from the rest. But, always note that the videos should be within 120 seconds or less in length. Shorter and relevant videos have more power to attract viewers’ attention. The companies are investing more and more on in-house as well as outsourced content to meet the demand for the videos. Only someone with experience in videos must be hired to prove the worth of your company and take it in the right direction. It is proved by the video marketing statistics shown in Forbes that watching videos can increase sales. According to the reports, 64% of the customers mostly buy a product after seeing the videos and 90% of the viewers are convinced to buy and make their buying decision strongly. The videos help to educate the customers and build the trust of the viewers. The Aberdeen video marketing statistics reveal that the people who use videos attain 66% more leads each year. The video marketing statistics show 64% of the customers watch brand videos and then come to a decision of purchasing. According to the Hubspot video marketing statistic, 55% of businesses would like to start sharing videos on the LinkedIn and 38% of the marketers already share video content on LinkedIn. Around 45% of people spend one hour or more weekly on YouTube and Facebook and 85% of them watch it without sound. On daily basis, people spend around 100 million hours on Facebook videos and 10 billion videos are watched by the Snapchatters. Bloomberg video marketing statistics show 82% of Twitter users watch video content on Twitter, 93% of them watch videos on mobile. The Facebook users who watch video content for the first 3 seconds, definitely watch it for 10 seconds minimum and 45% of them watch videos for 30 seconds. Today, there are hardly any users without a mobile phone and even the least budget models offer video content viewing. Recent research on mobile video marketing shows that within a span of 2 years, marketers have increased their spending by 95% on digital and mobile video content. More than half of the YouTube users watch video content on their mobile, reveals YouTube. comScore video marketing statistics show that on an average per day people watch YouTube video content for 40 minutes. According to Twitter, 90% of the people watch Twitter videos on mobile and Wyzowl video marketing statistics says that 90% of the video users view it from their mobile. After going through the above video marketing statistics for small businesses in 2019, we can sum up that video content has a long future and it is here to stay. It doesn’t need a big budget or any kind of outsourcing. All that you need is create something unique, think out of the box, make use of both popular as well as lesser used platforms to share your content, and reach the relevant users. Not only for marketing, but you must also use the videos for the sales process as well.